FAAC will be unveiling its first hybrid powered barrier range at this year’s IFSEC exhibition, Hall 4 Stand C10 NEC Birmingham. 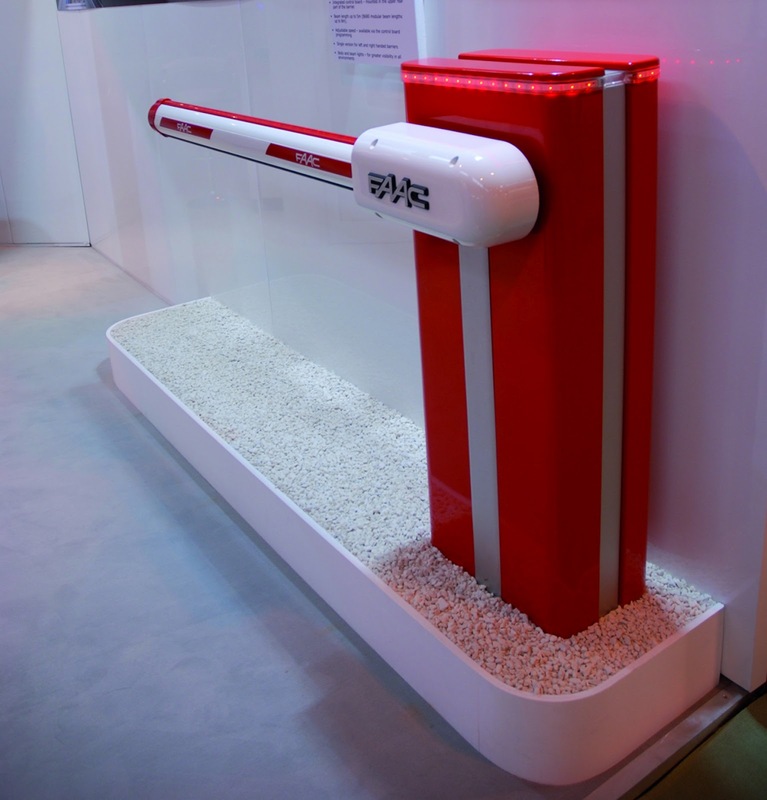 Combining the high performance and reliability of hydraulics with the flexibility and safety benefits of a 24v motor, the B680 barrier is ideal for a wide variety of commercial applications with high volumes of traffic. With twice as much power than an electromechanical barrier, the B680 can operate beams up to 8 metres in length and, with fewer moving parts, it is more economical to maintain. An oil-bath lubrication system reduces the wear of the mechanical components, resulting in a longer life span and less operating noise. Helping installers to comply with current European standards, the B680 features an integrated encoder which monitors the position of the beam and instructs the barrier to reverse if an obstacle is detected. The beam speed can be adjusted through the integrated control board, providing precise control over beam movement. For increased safety and visibility, the B680 is available with cabinet and beam dual-coloured LED lights. Also on the stand will be the innovative A140 AIR automatic door system which offers energy savings of up to 40% compared with standard automatic door systems, helping businesses to reduce their carbon footprint and save money. Unlike standard automatic doors, which often stay open much longer than necessary, the A140 uses information from a sensor to optimise opening/closing times, reducing air loss and energy consumed by internal air-conditioning and heating systems. For applications requiring a wider opening, the A140 AIR is now available with telescopic leaves, providing the perfect space-saving solution. In many cases the A140 can be retro-fitted to an existing automatic door system by simply replacing the internal components in the operator. With more than 40 years’ experience, FAAC is a world leader in gate and door automation. The company has manufacturing and development facilities in Italy and Ireland and distributes its products in more than 90 countries. Within the UK, FAAC (UK) based in Basingstoke is the market leader in residential and commercial markets, which it serves through a national network of 800 approved installers, all trained to FAAC’s high standards.